While vertical stripes in their various forms have been in fashion for a very long time, horizontal stripes just recently made their debut. We’ve seen great success with this design since we began offering it in dress shirts, and we’re trying it out in other categories as well. Horizontal stripes can best be described as a time-honored design with a modern kick, making it the perfect balance between conventional and trendy. Seasonal shades make these shirts a sharp addition to your wardrobe. 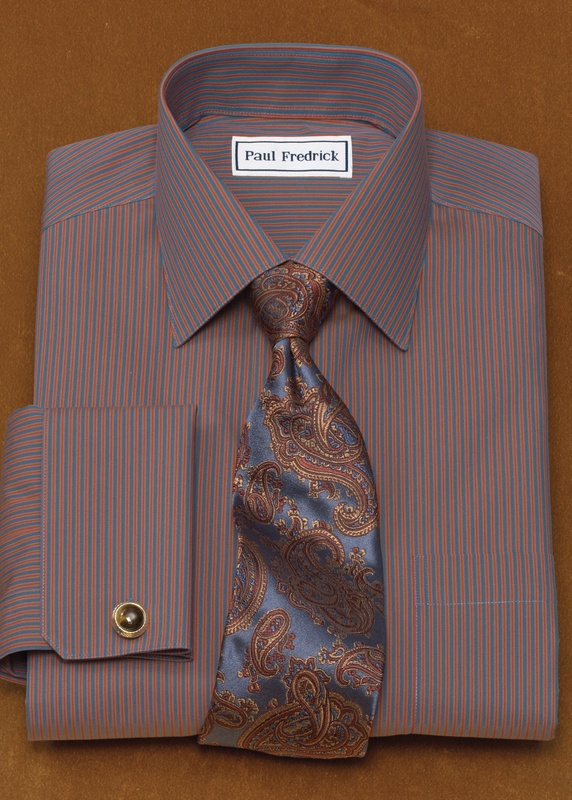 Print patterns are another recent introduction to our dress shirt collection. 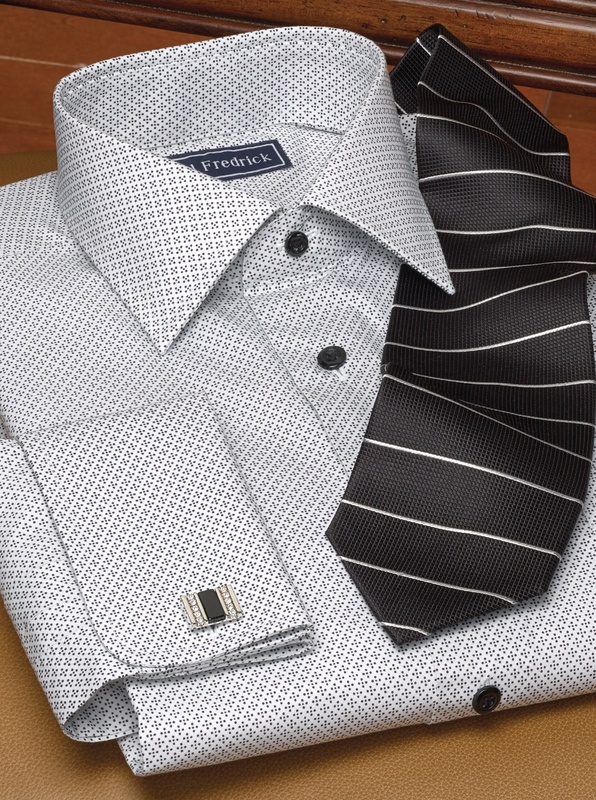 Following the success of printed ties, we’re now bringing you printed dress shirts too. The difference lies in that, here, the pattern is literally printed onto the fabric, whereas with a standard dress shirt the pattern is woven into it using colored thread. In practice, it’s an especially valuable technique that gives designers more freedom to work with the fabrics and textures of their choice. Both printed dress shirts and printed ties have become favorites in our seasonal collections, and it’s easy to see why. Non-iron dress shirts are one of our biggest sellers, and this season we’re giving the program a boost with the addition of four new color combinations. They are: merlot and khaki, purple and teal, sage and slate blue, and blue and orange. These are wonderful tones for Fall, and in our next post we’ll show you how to style them in the context of an entire look, so stay tuned! 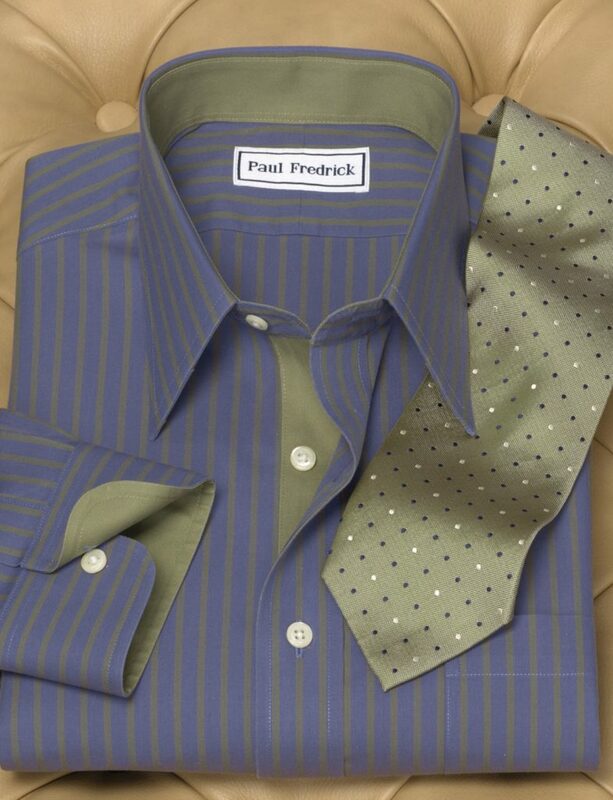 Non-iron cotton is both supremely functional and very fine in appearance – we encourage you to try it this season. We’ve heard your feedback and are working hard to provide you with the colors, patterns, and collar styles that you want in both French and button cuff. That’s why we’ve begun offering select designs in both types of cuff. These styles are exactly the same apart from one being French cuff and the other button cuff! 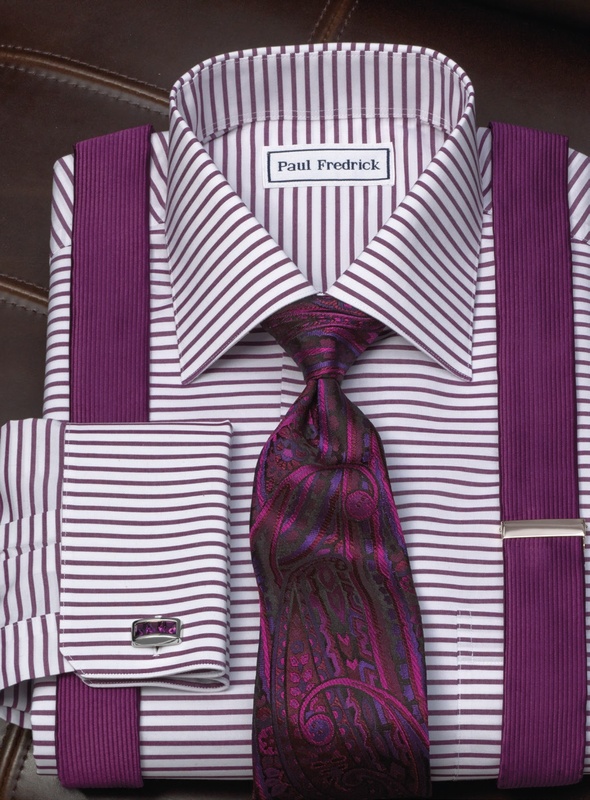 We think this new initiative for our dress shirt collection is going to make everyone happy. Have you noticed any trends for Fall? Which are you most likely to try out? I enjoy seeing new styles and fashions that are wearable. It’s also refreshing to see no iron options that are fashionable. Nice job.